Learn to build apps for iOS or games for Android, this Mobile App Developer Bundle is the complete resource to get you all prepped up to be an expert mobile app and game developer. Getting you access to over 10 courses or premium, rich content, you can now save over $1,200 from Wccftech Deals and start mastering your skills. Want to strengthen your LinkedIn and resume without adding fluff? This course is the ticket, providing instruction on how to build a whopping 10 games and 15 apps for iOS 9. Besides boosting your credentials, you’ll master coding with the Swift language, SpriteKit game engine, and Xcode development environment—all essential skills for any aspiring iOS developer. Got an amazing app idea the world needs to know about? This course will make it a reality, walking you through projects to create real-world Android apps. You’ll learn hard coding skills, build apps tailored towards a large segment of all mobile users, strengthen your portfolio, and turn into a bona fide Android developer before you know it. Kill two birds with one stone, and create mobile apps tailored towards both Android and iOS. You’ll learn to develop games using the Unity game engine, which allows you to do so with minimal code. Walk through instructions to craft a 2D zombies survival game, and conclude your lessons having learned how to design characters, add graphics, animate zombies, and much more. If you’re aspiring to be a serious mobile developer, learn to program for Android Marshmallow. The latest version of the world’s most popular operating system, Android M offers you cutting-edge features with which to work your app magic. You’ll end this course with a great understanding of how to set up your development environment, use the Android SDK, and much more. Want to develop for iOS? Here’s your chance to learn. 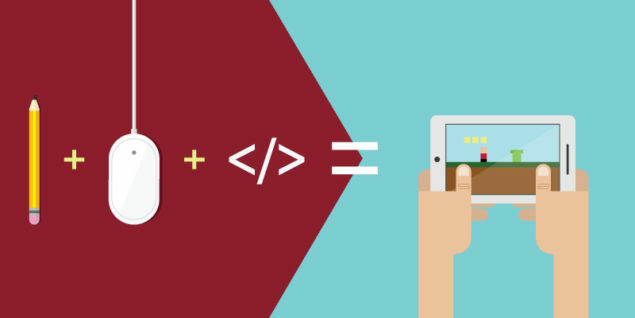 From learning how to code in Swift to creating iOS user interfaces using UIStack View, you’ll master how to create an app for the Apple mobile device of your choice from start to finish. Best of all, this quick and dirty course will have you up to speed on iOS development essentials in just 6 short hours. Swift is powerful in a way that defies how easy it is to learn (it is called “Swift” for a reason!). In this short course, you’ll dive into the theory as to how Swift functions, then apply your knowledge in a practical project. Whether you’re hankering to learn about arrays or master use of the NSUserDefaults data storage tool, this course will get you creating premium iOS apps before you know it. New to the programming scene, or want to build mobile games without losing yourself in a sea of code? Then Unity 3D (along with this course) is your best friend. You’ll specifically learn to develop 2D games for Android, mastering everything from utilizing Unity in conjunction with the Android SDK, to even monetizing your app to generate passive income. Get fully prepped in under 4 hours on creating a perfectly functional Android app. You’ll start by learning (or reviewing) how to set up your development environment, master the intricacies of class design and logic flow, implement APIs in your product, and much more. The Google Play Store better watch out, because it won’t know what hit it once your app goes live on its platform! Then data-driven marketing is the Robin to your Batman. In just 1.5 short hours, you’ll learn to effectively market your app to legions of potential users, learning about the mobile development landscape, pre-release and post-release marketing tactics, app engagement analytics, and much more.